４. Japan’s Colonial Moment in Southeast Asia 1945-1945: The Occupiers’ Experience. London and New York: Routledge, September 2018. 286 pages. The first-ever attempt to paint a full-scale portrait of the Japanese Occupation of Southeast Asia during the Asia-Pacific War (1942–5). This book draws on the huge body of available narrative—military documents, bureaucratic records and personal accounts of combatants and civilians, including diaries, memoirs and collected correspondence—most of which have previously been either unknown or unavailable to non-Japanese readers. It examines how the Japanese imperial adventure in Southeast Asia sped up the collapse of the Japanese Empire as a whole, not only through its ultimate military defeat in the region, but also due to its failure as an occupier from the very beginning. The original Japanese version was published as Tonan Ajia senryo to Nihonjin: Teikoku Nihon no kaitai [The occupation of Southeast Asia and the Japanese: The dismantling of the Japanese Empire]. Tokyo: Iwanami Shoten, 2012. ISBN: 430922542X. 15.”Nation and Citizenship in the Filipino World War II Veterans Equity Movement, 1945-2001,” in Ryo Oshiba, Edward Rhodes, and Chieko Kitagawa Otsuru, eds., “We the People” in the Global Age: Re-examination of Nationalism and Citizenship (JCAS Symposium Series; 18. State, Nation and Ethnic Relations; 6). Osaka: The Japan Center for Area Studies (National Museum of Ethnology), 2002: 205-225. 32.“Memory and Mourning: Six Decades after the Two Wars,” Kiichi Fujiwara and Yoshiko Nagano, eds., The Philippines and Japan in America’s Shadow. Singapore: NUS Press, March 2011 (340p.+x. ): 152-177. Co-authors: Kiichi Fujiwara, Julian Go, Reynaldo C. Ileto, Temario C. Rivera, Oscar V. Campomanes, Floro C. Quibuyen, Yoshiko Nagano, Patricia O. Afable, Augusto Espiritu, Michiyo Yoneno-Reyes, Nobue Suzuki, Hiromu Shimizu. 8. “US Philippine Policy and the Interpretation of National Interest: The FDR Administration and the Philippine Question, 1935-42,” The Journal of American Studies [The American Studies Association of Korea], Vol.28, Number 2 (1996 Winter): 475-502. 9.”The “Windfall”Revenue Controversy (1937-1941): A Perspective on Philippine Commonwealth History,” Pilipinas [Arizona State University], No. 28 (Spring 1997): 31-60. 15. “South to South across the Pacific: Ernest E. Neal and Community Development Efforts in the American South and the Philippines,” Japanese Journal of American Studies [Japanese Association for American Studies], No.16 (2005): 181-202. 16. “The Filipino World War II Veterans Equity Movement and the Filipino American Community,” Pacific and American Studies, Vol. 6 (March 2006): 53-81. 19.Satoshi Nakano. “La gestion des colonies et l’administration militaire dans le sud: le démantèlement de l’Empire japonais en Asie du Sue-Est (traduit par Rémi Buquet),” Guerres mondiales et conflits contemporains N.249 (Janvier-Mars 2013): 75-100. 21. 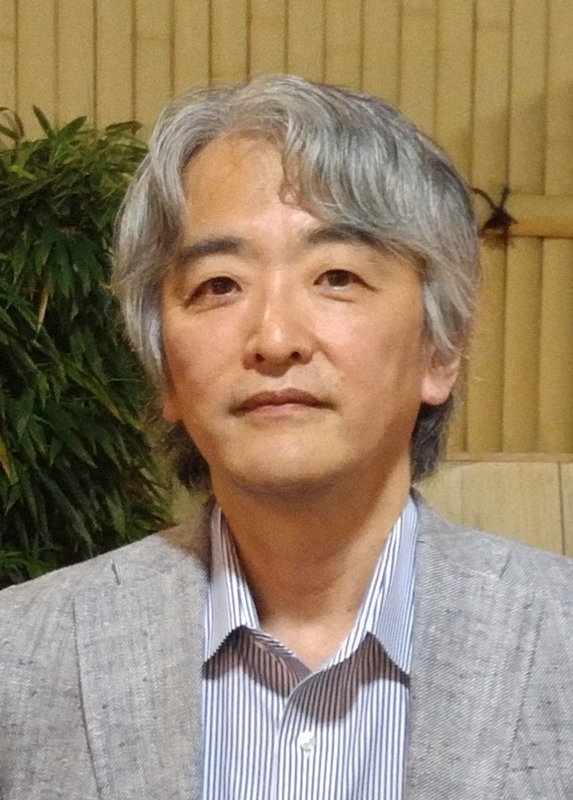 Satoshi Nakano. “Methods to Avoid Speaking the Unspeakable: Carmen Guerrero Nakpil, the Death of Manila, and Post-World War II Filipino Memory and Mourning.” Hitotsubashi Journal of Social Studies Vol.48 No.1 (January 2017): 27-41. 10. “Immigrant Issues and Japan-Philippine-U.S. relations during the two World Wars,” (Paper prepared for the second International Conference on Contemporary Diaspora), March 10-12, 1997 at University of Tsukuba University, University Hall). 28. “Politics of Mourning in the Post WWII Philippines-Japan Relations,” Filipino Studies in Japan: Translation, Marriage, Politics: A Symposium, April 11, 2006 at the Bunche Hall, UCLA Campus, Los Angeles (organized by UCLA Center for Southeast Asian Studies). 30. “Battle for Manila: A Japanese View,” TRUTHS AND MEMORIES OF WORLD WAR II: THE NANJING MASSACRE AND THE BATTLE FOR MANILA, March 18 and 19, 2008, Ateneo de Manila University, Loyola Heights campus. 32. “Battle for Manila 1945: Issues of Truths and Memories,” Roundtable: Battles of Manila and Nanjing: Atrocity, Justice and Reconciliation, November 6, 2009. The Sigur Center for Asian Studies, The Elliott School of International Affairs, George Washington University. 34.“Battle of Manila 1945: Politics of Forgetting and Remembrance,” Nanjing 1937 / Manila 1945: Remembrance and Reconciliation, March 16, 2010, Center for Philippines Studies, School of Pacific and Asian Studies, University of Hawai‘i at Manoa. 36.“Japanese Academic Communities after the Quake,” Roundtable: Japan in the Wake of 3/11 Eastern Japan Earthquake/Tsunami/Nuclear Disaster. October 22, 2011. American Studies Association Annual Meeting. Baltimore Hilton Hotel, Baltimore, Maryland. 37.“Ways to Tell the Unspeakable: in the Post-World War II Filipino Memories and Imagination,” Une conférence donnée par M. Satoshi Nakano, November 12, 2011. Université Paris III – Sorbonne Nouvelle, bâtiment Censier, salle 414. 40.Commentator, “The Transnational Landscape of the American Empire Shaped by Paupers, Nurses, and Migrants, 1850–1940,” November 18, 2012. American Studies Association Annual Meeting. Puerto Rico Convention Center, Sun Juan, Puerto Rico. 42.Discussant, “Roundtable: Asia Pacific Historical Reconciliation.” March 20, 2014. George Washington University Sigur Center for Asian Studies. 43. A Dark Truth: Japanese “Kirikomi” attacks in the Battle of Manila, February 3 to March 3, 1945. COLONIALISM, IDEOLOGY, AND GENOCIDE IN COMPARATIVE PERSPECTIVE: THE LONG 20TH CENTURY. March 28, 2014, Washington University in St. Louis. 44.”Who liberated whom? : remembering Japanese Occupation of South East Asia,” University of Washington, Seattle, May 22, 2014. 45.”Juridical Arenas”: Temporal-spatial Frames of the War Crimes Adjudicated. “JURIDICAL ARENAS” IN ALLIED WAR CRIMES TRIAL PROGRAM. June 9, 2014. at Boston College, Chestnut Hill, MA. 46.”Japan’s Imagined Geographies of East Asia since the 1990s,” Visiting Scholars Roundtable, Sigur Center for Asian Studies, George Washington University, August 27, 2014. 48. ” The Death of Manila in World War II and Postwar Commemoration,” Authenticity and Victimhood in 20th Century History and Commemorative Culture: Historical Experience and the Construction of Victim Identities in International Comparison. 11-13 December 2015. at Topographie Des Terrors, Berlin. 51. “Forgiveness Should be Accompanied by Remembrance: War Memories and the Postwar Philippines-Japan Relations,” A Seminar on the Legacy of Elpidio Quirino, Sixth President of the Republic of the Philippines. 17 July 2016.Room 402, 4th Floor, Bldg.12, Sophia University (Yotsuya Campus). 53. “The Nexus Approach to Asia’s Sustainable Future,”The 22nd Biennial Conference of the AASSREC: Sustaining a Green and Equitable Future in Asia-Pacific, April 21, 2017. Institute of Population and Labor Economics, CASS, Beijing, China. [venue: Fragrant Hill Hotel, Fragrant Hill Park, Beijing, China]. 54. “Overcome by Nationalism: Japanese Occupation of Southeast Asia (1942-1945) as Remembered by the Occupiers,” International Conference on the 75th Anniversary of World war II in the Philippines, 17-19 August 2017. Holy Angel University, Angeles City, Philippines. 23.「日本における太平洋地域研究の実態調査」および「フィリピン・シンガポール・マレーシア」、油井大三郎・遠藤泰生編『太平洋地域研究センターの現状－海外調査報告』（2001年3月31日）：13-18、46-50頁。（英訳版　”Pacific Area Studies in Japan: On-Site Research Visits”; “Philippines, Malaysia, Singapore,” Daizaburo Yui and Yasuo Endo, eds., Reports on Pacific Area Studies Research Centers, March 31, 2001, pp.10-15, 57-60. 28.”Comments.” Laura Hein and Daizaburo Yui, eds. Crossed Memories: Perspectives on 9/11 and American Power. Tokyo: Center for Pacific and American Studies, The University of Tokyo, 2003. (235pp. ), pp.152-158.